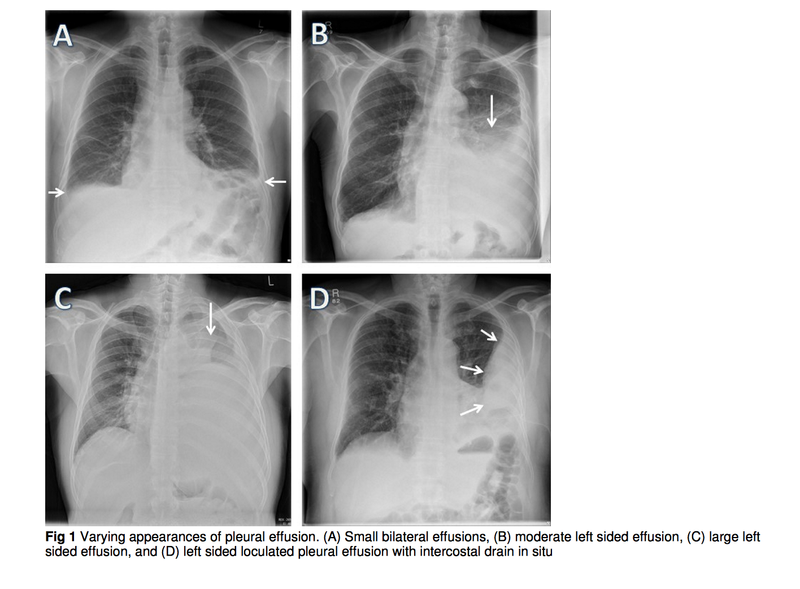 What are the 4 most common cause of Pleural Effusion? Patient is seen in hospital for Pneumonia. X-ray confirms Pneumonia. Shows Pleural Effusion as well and thoracentesis is done. Results as below. What other tests are to be done? 54 YO M is seen for SOB. 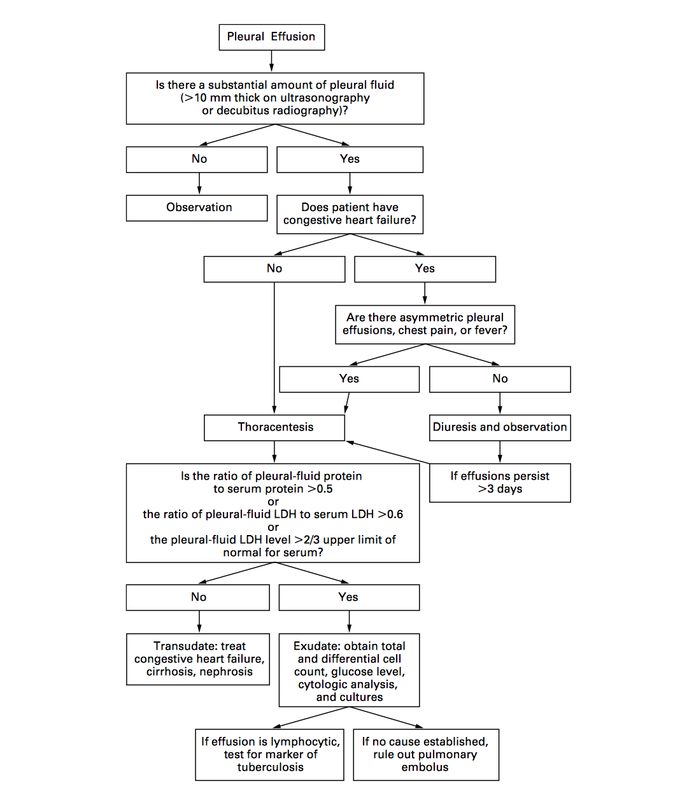 Physical exam is consistent with Pleural Effusion. Also has HFrEF of 35 %. Recently diagnosed and treated for pneumonia (HCAP). All cultures were negative though. CXR at various times has been the following. Work up reveals transudative fluid on this instance on previous instances. To rule out PE, 3 days after fluid removal, CTPE is done. 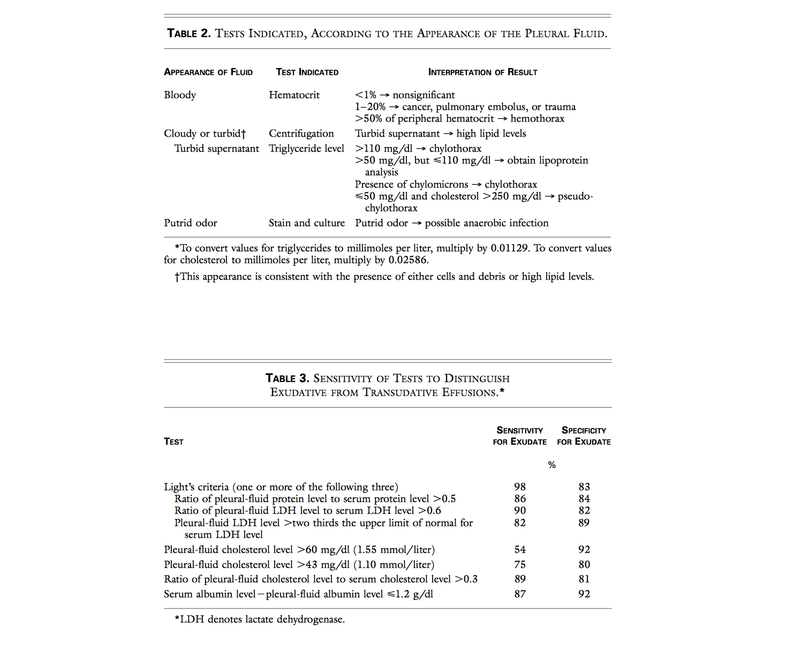 Shows the following finding. 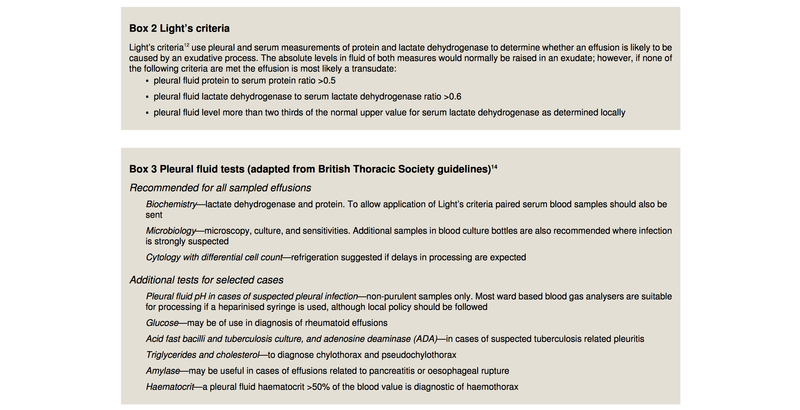 Given such a rapid collection of fluid in Right side, what other DDx should be considered? How is Trap Lung Diagnosed? 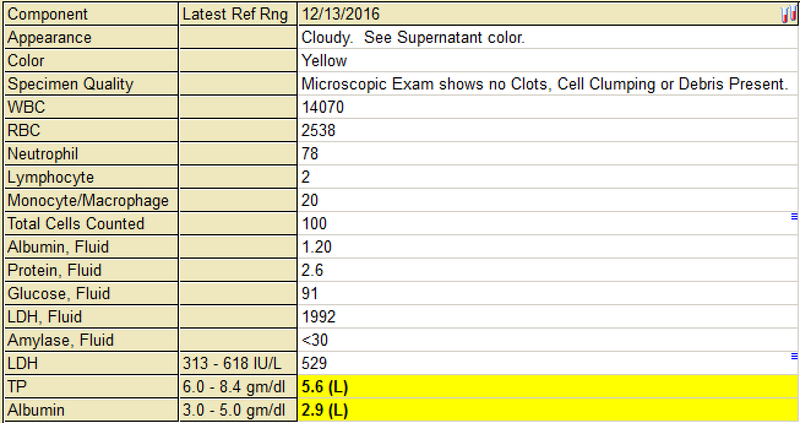 How should this case be managed with such rapid fluid collection? 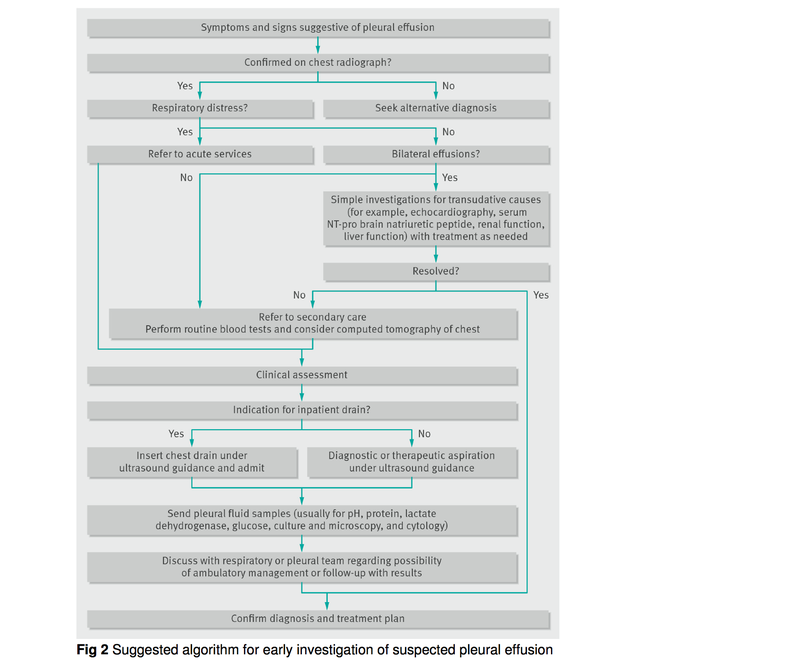 Pleurex Catheter placement for daily pleural fluid drainage : Usually is used for palliative intervention for malignant effusion, but can be used on these situations as well.